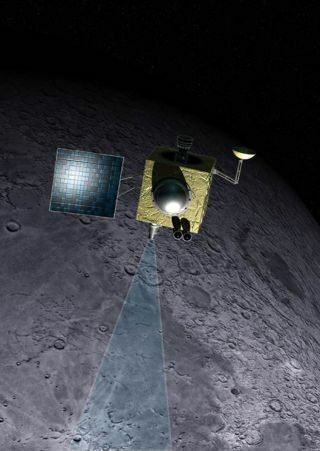 An artist's illustration of India's Chandrayaan-1 lunar spacecraft orbiting the moon. Scientists have detected evidence of water from the moon's interior in Bullialdus Crater. Pictured is the central peak of Bullialdus rising above the crater floor, with the crater wall in the background.